SB International, Inc. is a privately-held steel distribution company headquartered in Dallas, Texas. The company is primarily focused on the energy sector and is a leading supplier and manufacturer of high-quality Oil Country Tubular Goods and Line Pipe for the oil and gas industry in both the United States and Canada, as well as an importer and exporter of specialized steel products. With over 35 years of international steel distribution and manufacturing experience, SB international has built up a comprehensive network of global steel sources and production facilities to meet the specific requirements of its customers with a focus on quality, delivery, and service. SB International began as an exporter of non-ferrous metal products including scrap and off-spec steel. Within a few years, the company expanded into both importing and exporting stainless steel products and became a global trader and manufacturer of prime products in the domestic and international markets. The company seized the opportunity associated with the surge in demand for these products overseas and experienced tremendous initial growth. In 2004, SB International became an importer and distributor of steel pipe and tubing products. In particular, the company focused on Oil Country Tubular Goods (OCTG) and Line Pipe, which are specialized steel pipe and tubing products that are used in down-hole applications and transportation of oil and natural gas. Recognizing the importance of quality, SB International established teams both internationally and domestically specifically focused on ensuring all specifications are met through third-party inspection, onsite manufacturer audits, and additional property testing. Identifying suppliers that can manufacture products that meet and exceed American Petroleum Institute (API) requirements and establishing a proper international supply chain has allowed SB International to offer customers pipe and tubing products which they can trust. 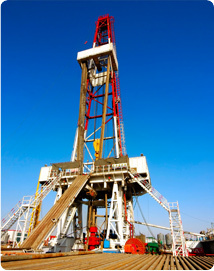 The majority of the top 50 independent drilling companies in the United States have used SB International’s OCTG products in many of the major oil and gas plays throughout North America, including the Bakken, Barnett, Haynesville, Fayetteville, Marcellus, Utica, Eagle Ford, and Niobrara. SB International maintains a stock ready for delivery of over 50,000 tons of pipe from various North American locations to help meet just in time requirements of customers. SB International expanded its market into Canada in 2010 through a new joint venture, SB Navitas Tubular, Inc., with Shane Jones, a sales executive with extensive experience in the oil and gas industry. SB Navitas Tubular, Inc. is headquartered in Calgary, Alberta and stocks API products throughout western Canada. Today, SB International is known as one of the leading suppliers of high-quality OCTG and Line Pipe to the oil and gas industry in both the United States and Canada. The company was listed in the Dallas Business Journal as one of the 100 fastest growing private companies in the Dallas Metroplex area for five consecutive years (2004 to 2008). The company’s success is tied to its key strengths – strong relationships with both domestic and foreign suppliers, high-quality products, a sales team that has significant industry experience, and globally competitive prices.